I have a long overdue review for you all today. I've been super crazy busy at home and at work lately so the blog kinda got put on the back burner for a while. But hopefully today's post will more than make up for it! This collection is absolutely gorgeous and I can't wait to show it to you! 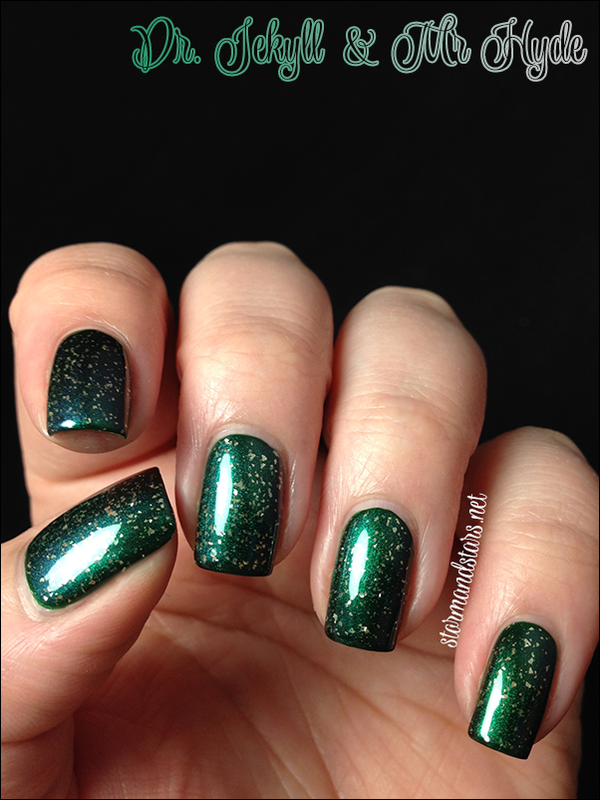 Here is The Pagemaster collection from Nvr Enuff Polish. First up is one of my favorites, Adventure. 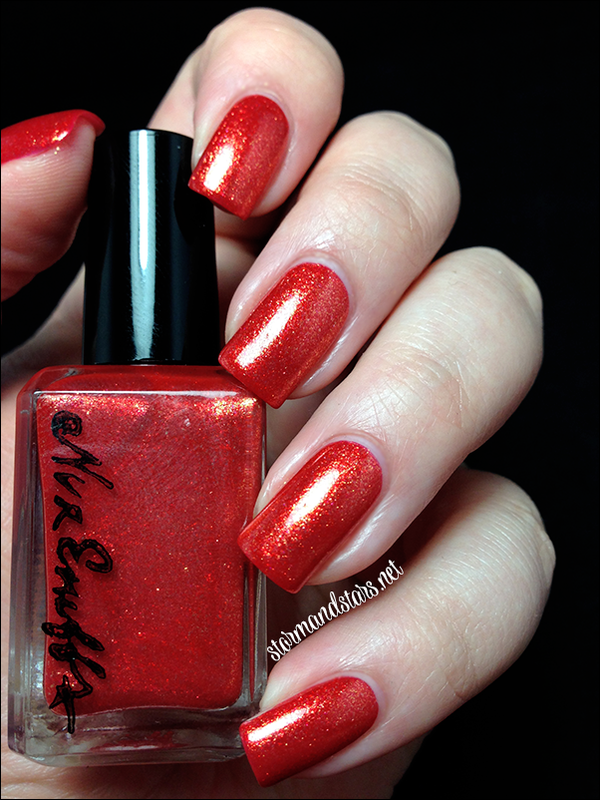 Adventure is an almost red lacquer with tons of golden orange glass fleck goodness. Absolutely stunning, the photos of this don't even come close to doing it justice. I used two perfect coats of Adventure for these images. The formula was amazing and I honestly could have left it at one coat if I wasn't taking photos. The finish is uber shiny and I didn't even use topcoat for this swatch. 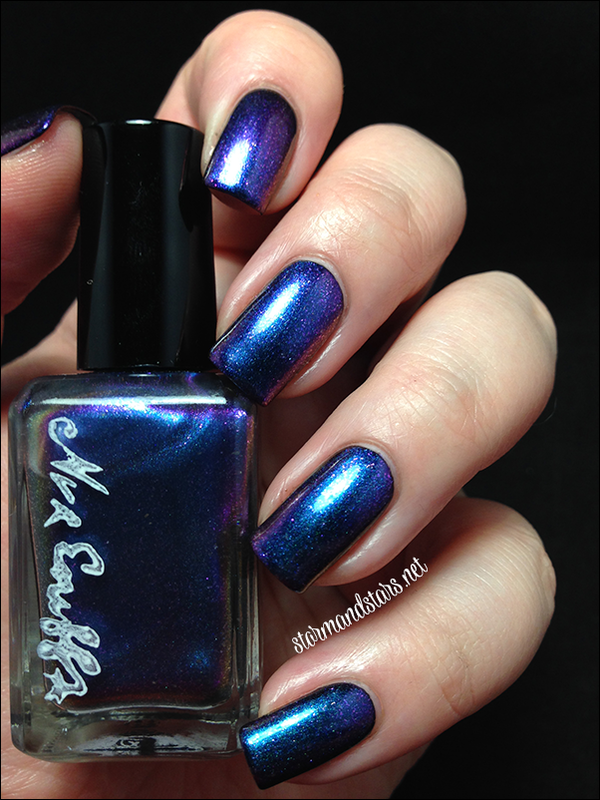 Next up is another stunner, and the first of two multichromes from the collection. Here is Dr. Jekyll and Mr. Hyde. 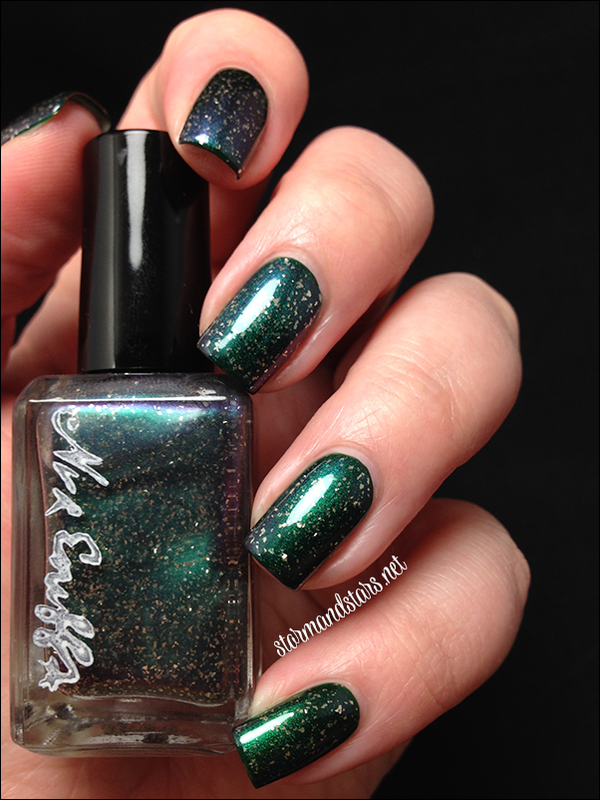 In most light, Dr Jekyll and Mr Hyde is a shimmery green with a blackend base. 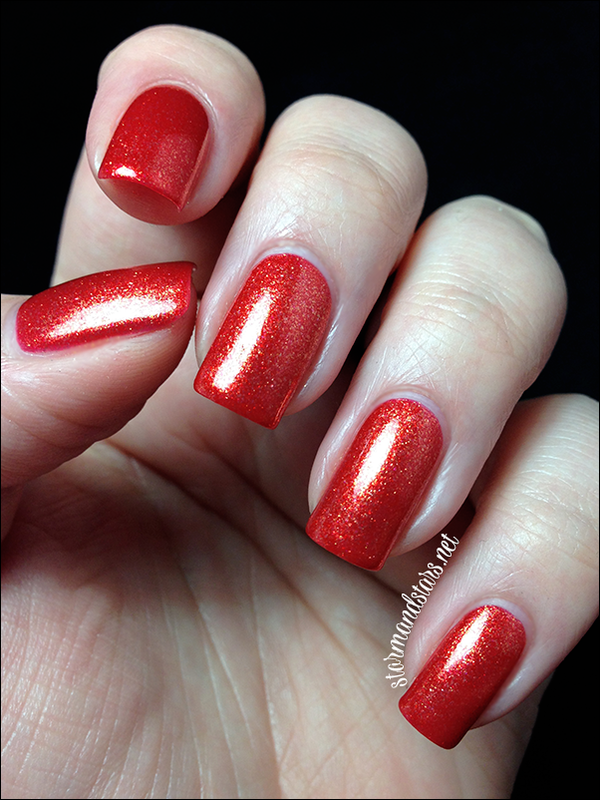 It is loaded with tiny silver flakie glitter with gives it such a great look! 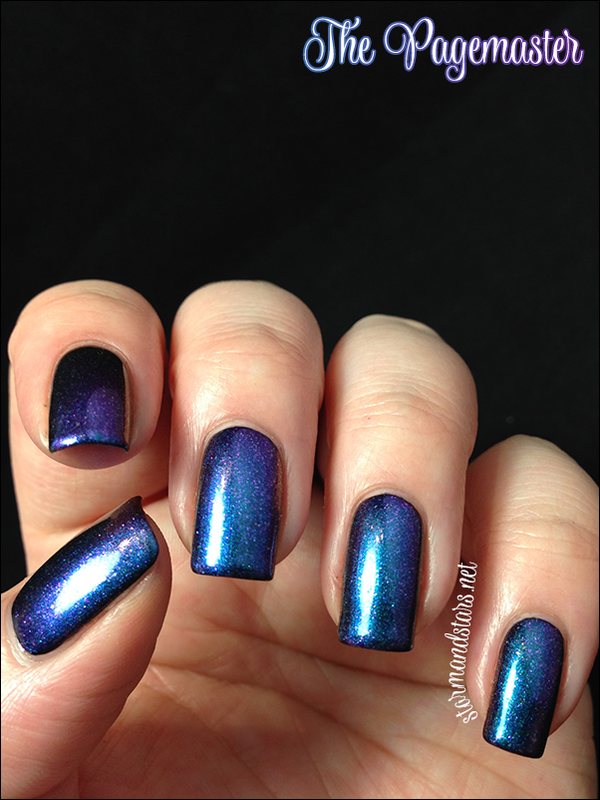 In some lights you get the duochrome effect and a strong purple color comes out to play. Beautiful! 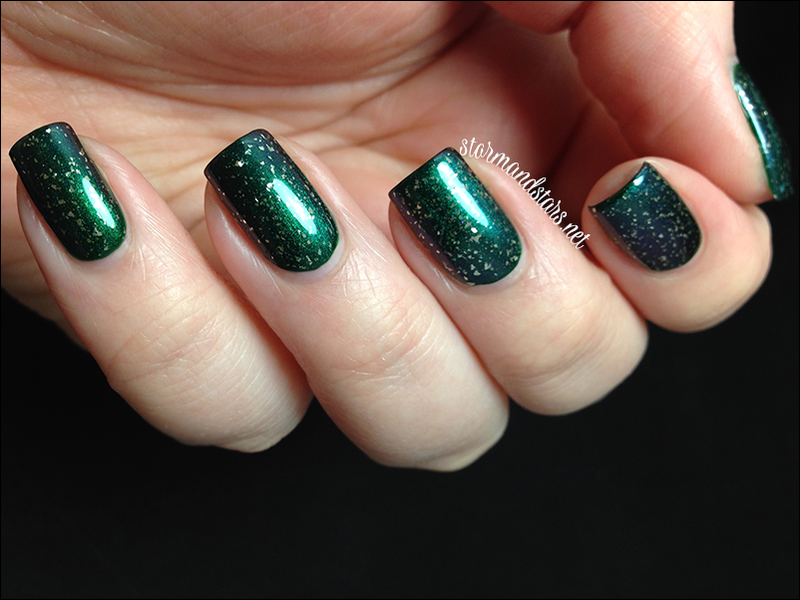 I used two coats of Dr Jekyll and Mr. Hyde over my favorite black for these images. It went on smoothly and I had no formula issues. I topped it all with Fat Lacquer Drive Thru. I love how this lacquer looks and how the flakes make it more interesting than just your every day multi or duochrome lacquer. 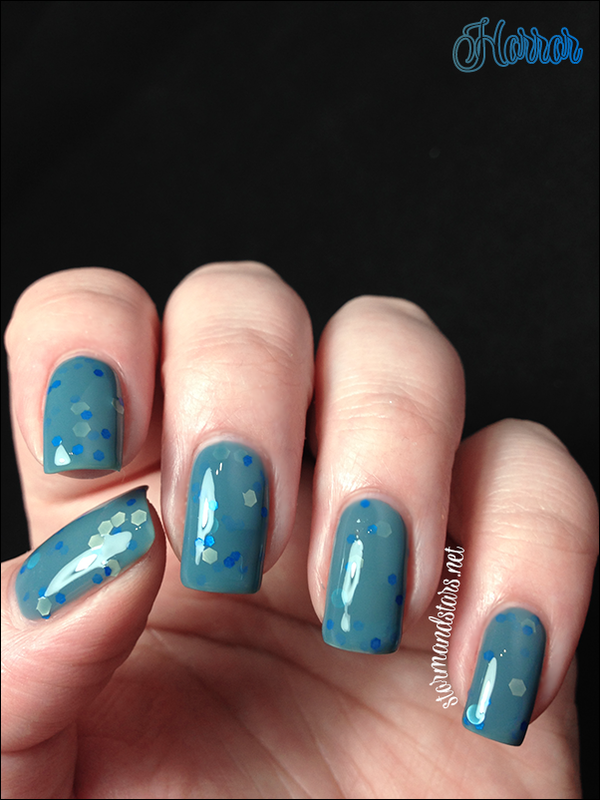 Horror is a dusty greyish blue crelly base with white and blue hexes throughout. This one is so squishy! 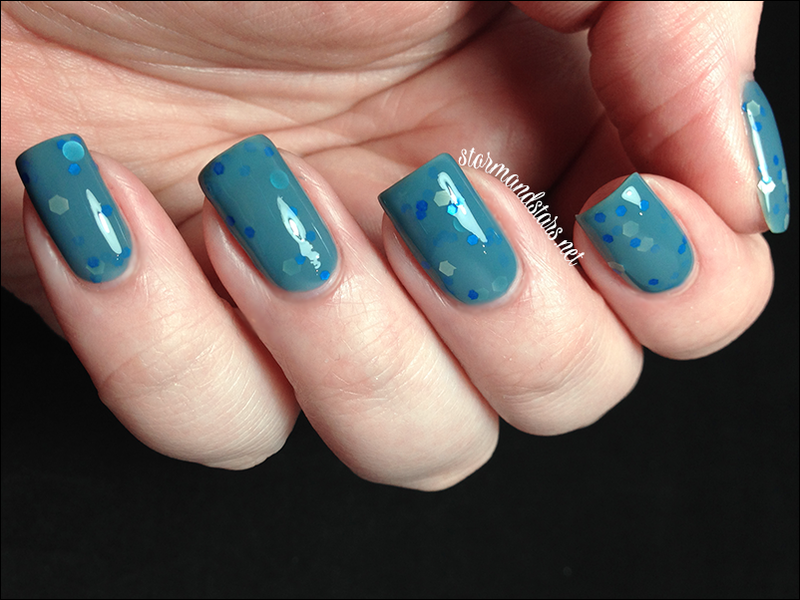 I used two coats of Horror plus topcoat for these swatches. I love the formula, it was really great and gave me no problems. 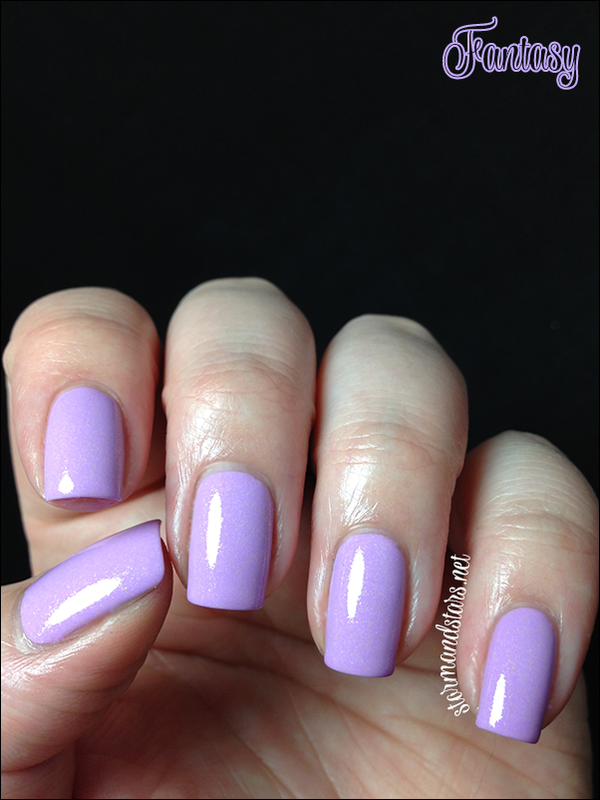 Once the topcoat was on it almost looked like a gel mani! Next up is the second of the two multichromes and the namesake of the collection. Here is The Pagemaster. 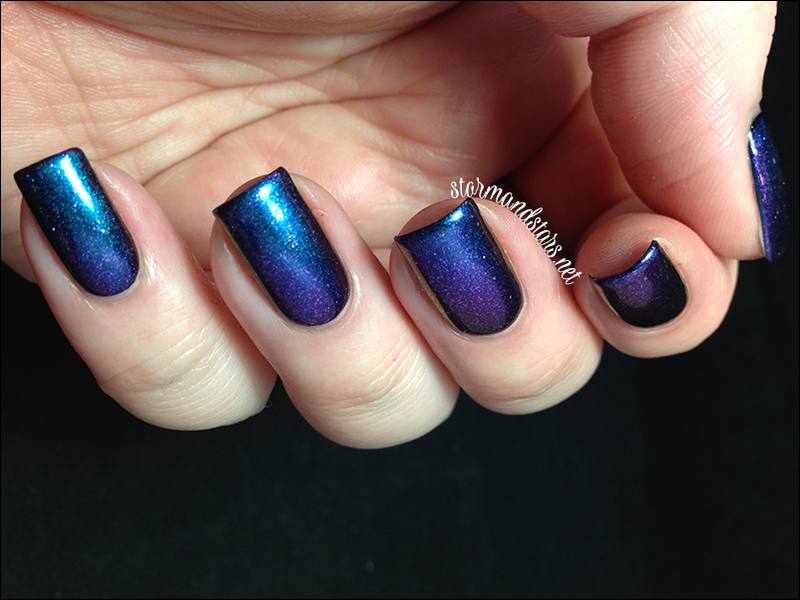 The Pagemaster is a blackened base with a blue to purple to magenta to gold shifting multichrome effect. 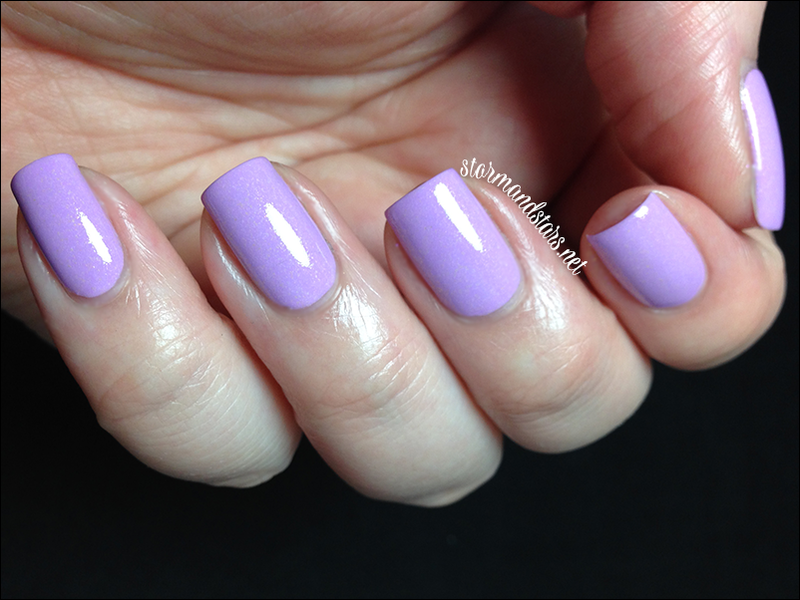 This baby is also loaded with a magenta shimmer. 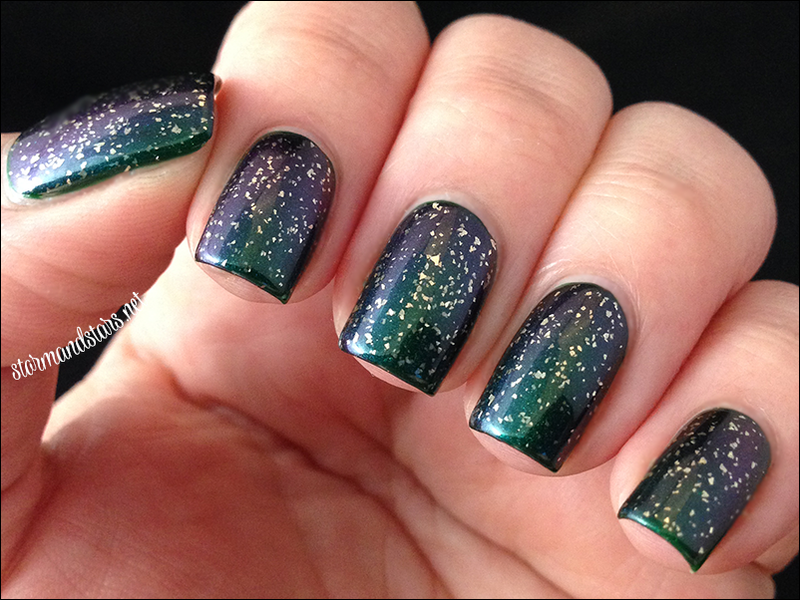 I had a bit of trouble getting the multichrome to come out for photos, but in dim light I got them all to show for you. 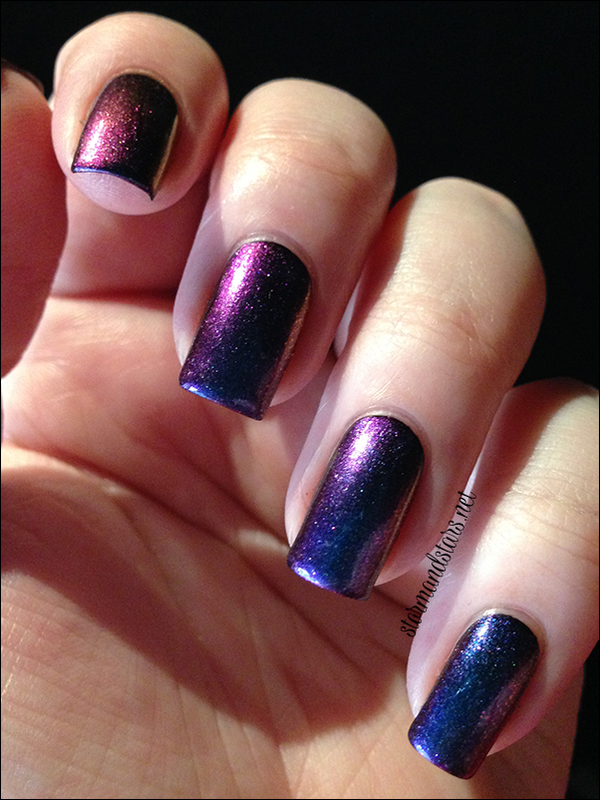 I used two coats of The Pagemaster over my favorite black for these swatches plus a shiny topcoat. I love the formula and had no troubles with it. Last up is my favorite of the collection and the lacquer I was most looking forward to when I saw the original release. Here is Fantasy. 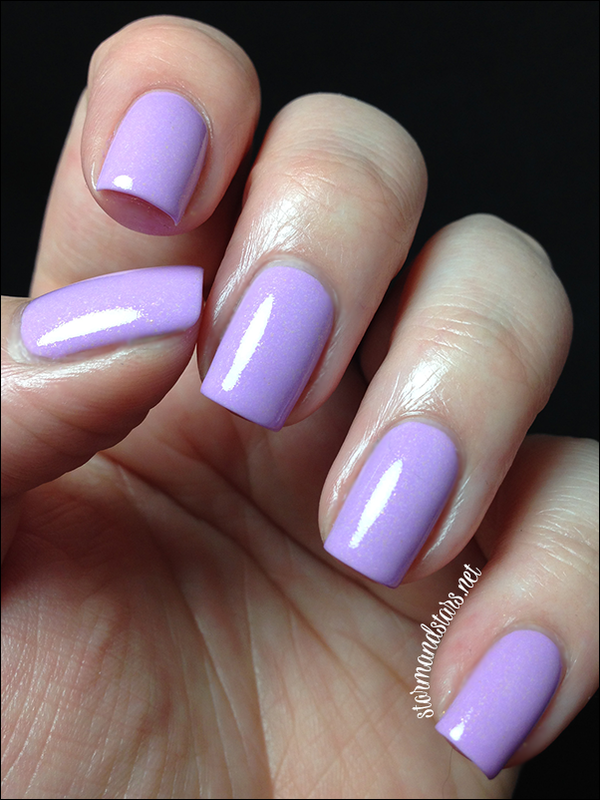 Fantasy is an absolutely beautiful purple creme loaded with a pinkish glass fleck shimmer throughout. 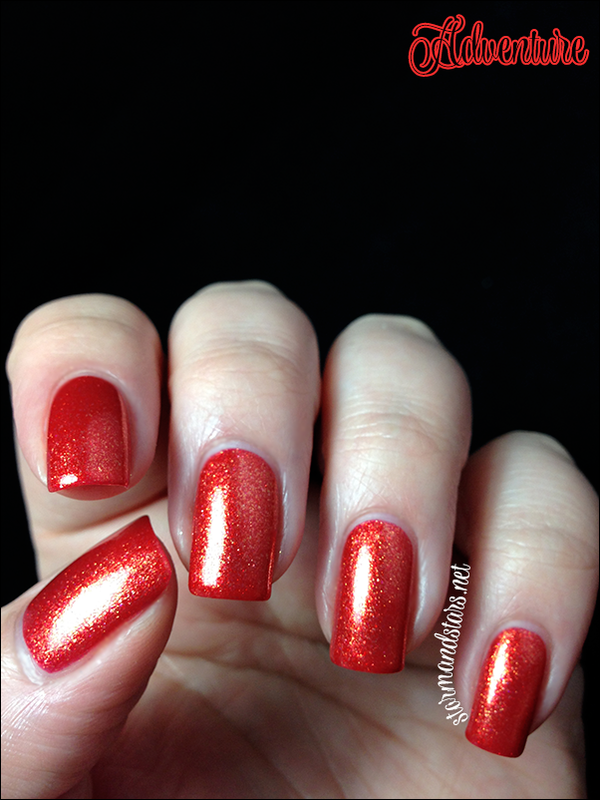 I used two coats of Fantasy plus topcoat for these photos. 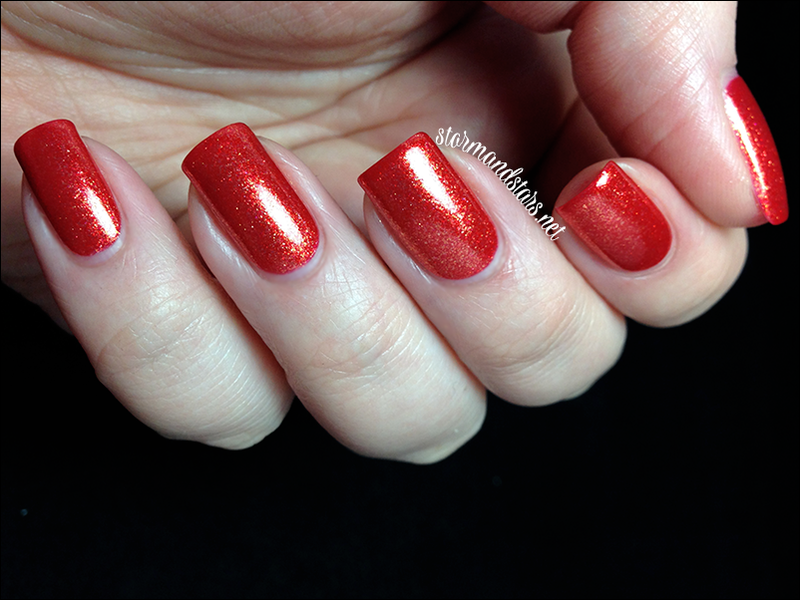 The formula was decent, I did use a light hand cause of all the flakies, but it smoothed out nicely. Overall I love this collection. My must haves would be Fantasy, Adventure and The Pagemaster. 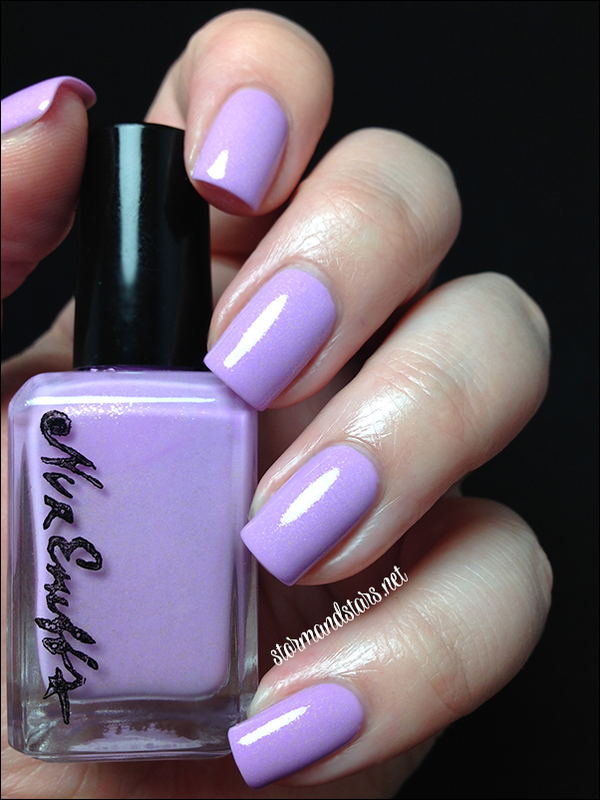 You can find this collection and other Nvr Enuff Polishes in their shop. Don't forget to follow them on social media in order to keep up to date on new collections, sales and giveaways as well as to see other blogger's swatches.